Union Square Business Improvement District has already pledged $100,000 to support DST this year! We need YOU to help us raise more! The Union Square Team was the first Team outside of our pilot area in San Francisco, sponsored and launched by the Union Square Business Improvement District and supported by local businesses and residents like you. Since launching in July of 2016, our partnerships with Union Square and Block by Block have led to 9 people finding housing and 15 that found lasting employment. 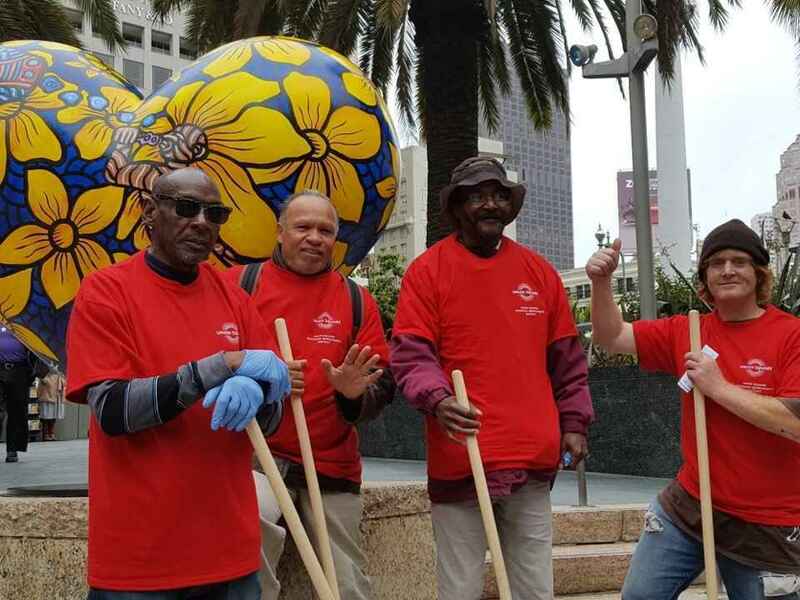 Each month the Team helps Union Square crews remove over 11,500 pounds of debris and over 250 needles! The combined impact from this partnership on the district is evident in some of the highest stakeholder satisfaction results since the formation of the Union Square Business Improvement District. It's a win for the business community and residents, a win for the Team Members who are rebuilding their lives and a win for everyone who visits Union Square. But we can't do it without you. In order to keep changing lives and keeping Union Square beautiful, we need your support. Union Square BID has already pledged $100,000 to support the Team this year. We're hoping to raise $55,000 by January 1, 2018 to continue our impact and increase our scope. Please join Union Square Business Improvement District and Downtown Streets Team in the movement to end homelessness in San Francisco.